We are now a Tali lift dealer. Contact us today on the new line we have in stock. Come out for a test drive today!!!! 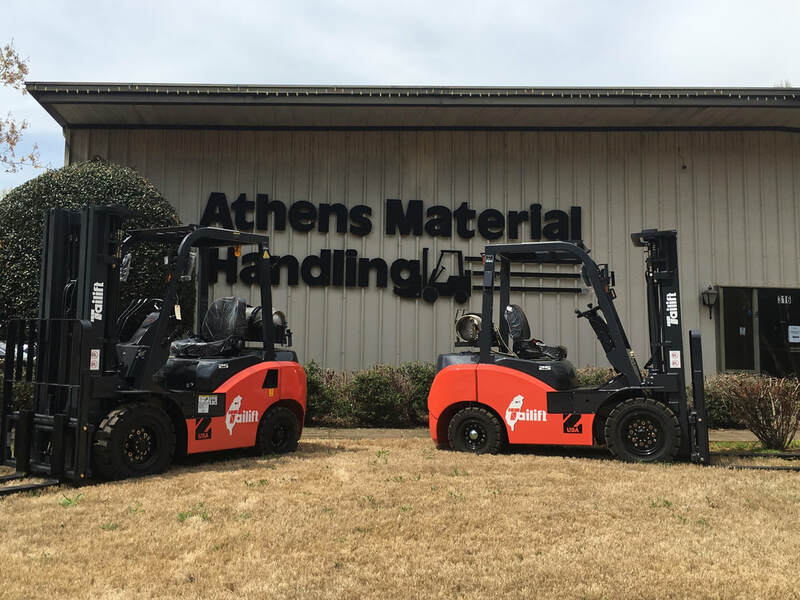 Athens Material Handling was founded in 1979 to service the needs of forklift customers in northeast Georgia. Because we're closer to our customers than Atlanta-based suppliers, we're able to save them thousands of dollars in time and travel charges. We are dedicated to providing quality-built industrial forklift trucks and material handling equipment to our northeast Georgia customers. We sell and service a wide variety of material-handling equipment. Our 14,000 square foot facility features an immaculate service center, comprehensive parts department and large rental fleet. An on-site service team provides responsive, professional service to our customers.